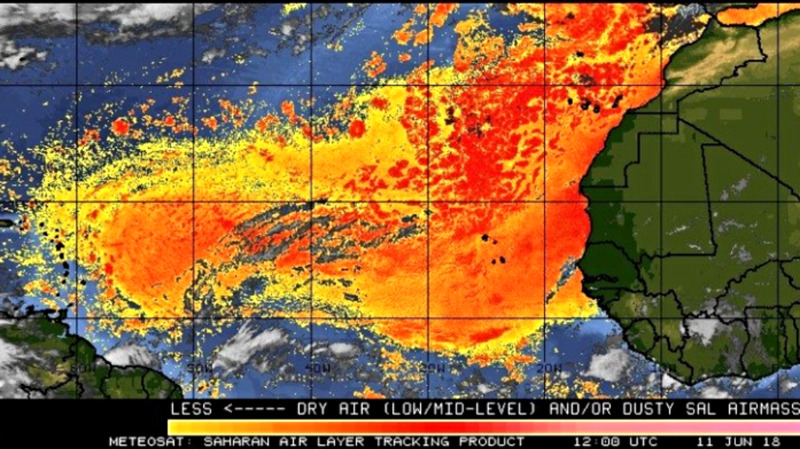 The Trinidad and Tobago Meteorological Service is warning citizens of another surge in dusty conditions due to the presence of Saharan Dust. 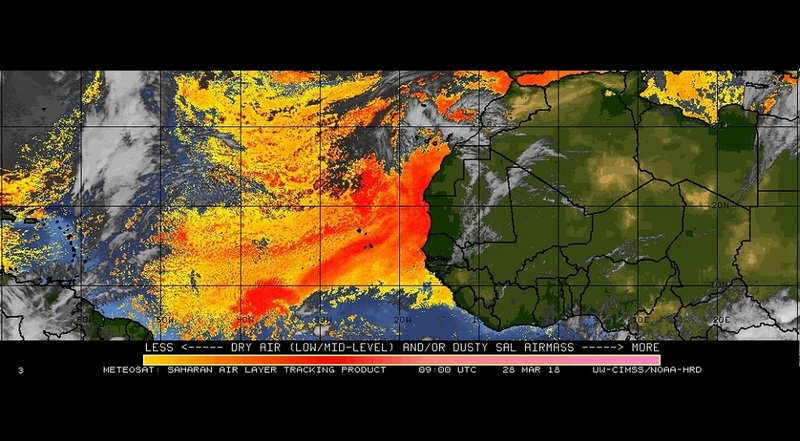 In a social media post on Monday, the Met Office said an increase in Saharan dust concentrations is expected from Monday night. "Heads up!... 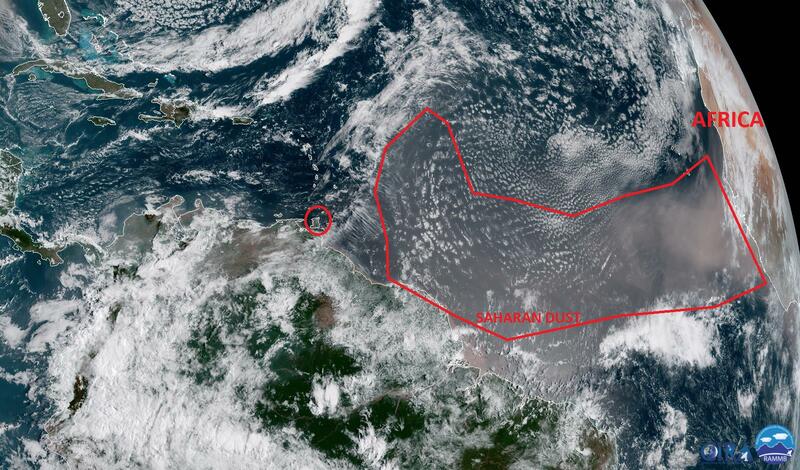 An increase in the Saharan Dust concentration over T&T is expected from tonight. Persons with respiratory ailments are advised to take the necessary precautions." "Breezy conditions are expected over the next few days, with the strongest winds expected on Wednesday. Gusts up to 75 km/h can also be expected near moderate to heavy showers. Please secure any items/materials which may be susceptible to the anticipated increase in winds," the Met Office said. - Keeping relevant medication handy such as asthma inhalers, sinus medication, pain relievers etc. Please consult with your doctor to ensure you or other vulnerable persons are protected adequately from dusty conditions. 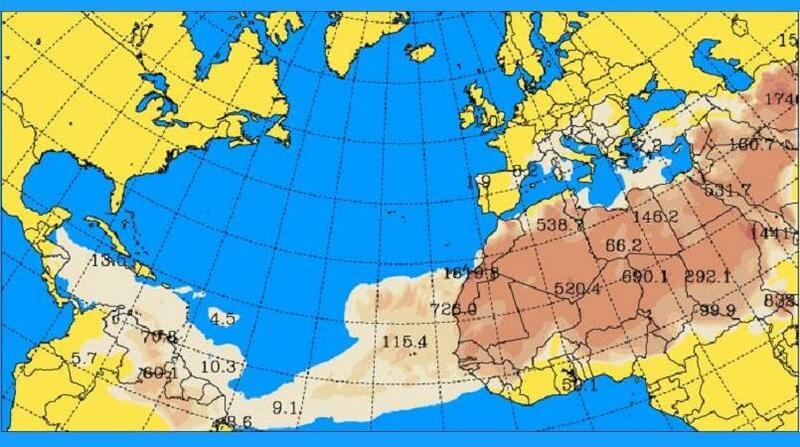 The Saharan Air Layer (SAL) is an extremely hot, dry and dust-laden layer of air that originates over the Sahara Desert of North Africa, where it extends from the surface upwards to several kilometres. It is fed by strong low to mid-level easterly winds over the desert which pulls sand and dust particles into the atmosphere. This is where the dust haze really emanates from. This layer of dusty, very dry and warm air is pushed westward by the easterly winds and, on reaching the west African coast or eastern Atlantic Ocean, it rides over the cooler, more moist surface air of the Atlantic Ocean, forming what is called an atmospheric inversion layer or boundary: with warm, dry air aloft and cooler, moist air below. The SAL has been observed to suppress the formation and intensification of tropical cyclones and can make tropical waves appear ragged or even disintegrate them due to the mixing of the SAL’s dry air into these weather systems. This is because the SAL typically contain lots of dry air, aerosol dust particles, and strong winds, all of which act against the development of cloud and tropical cyclone formation. Once the SAL reaches the Atlantic, the easterly trade winds continue to carry this dust across the Atlantic at the lower and mid-levels, where eventually some of it, oftentimes large pools of it, lands over Trinidad and Tobago and the southern Caribbean. As the SAL moves westward, it maintains the characteristics of warm stable air at its base, and dryness and dustiness throughout its vertical profiles. 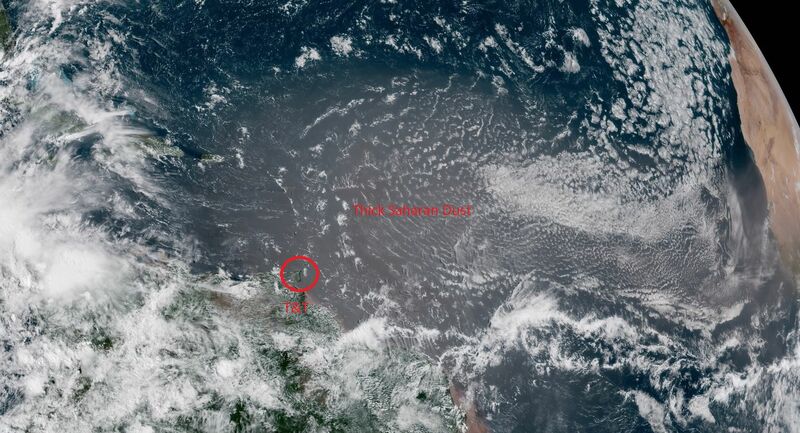 Records show a strong cycle that suggests that dust haze is most prevalent in Trinidad and Tobago during June to August and least during December to February.